Are you looking for new luxury apartments near the shopping and entertainment of The Shops of Park Lane and all that Midtown Dallas has to offer? If so, then the varied floor plans of Galleries at Park Lane are the right choice. 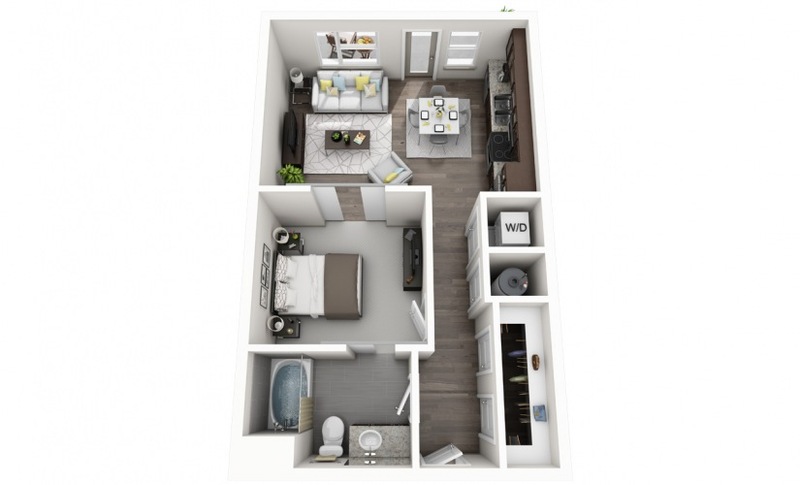 This luxury apartment community has nearly 50 different floor plans for your consideration. 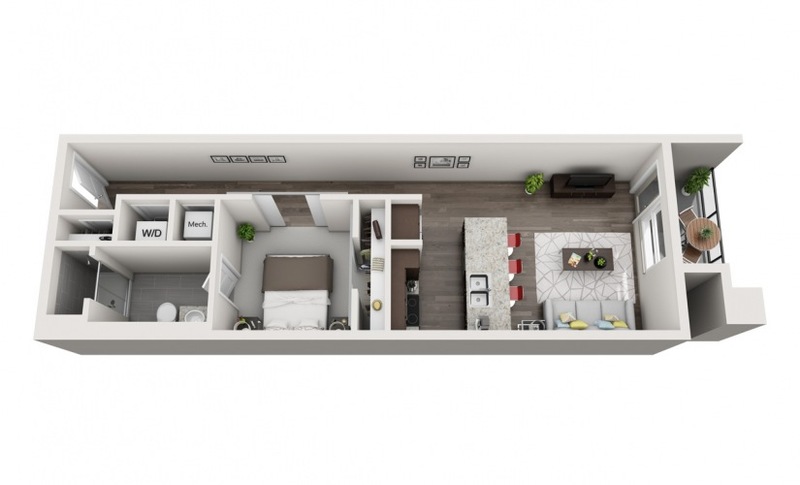 We offer one- and two-bedroom options, ranging in size from around 600 square feet to upwards of 1700 square feet. These floor plans are housed in two distinct buildings, each with its own unique ambiance. In Block E, exposed ceilings, hanging pendant lighting, and sunken living rooms give an urban feel to these luxury apartments in Dallas. Block G offers traditionally designed apartment homes with the features of a high-end condominium. Both offer upgraded lighting, custom cabinetry, large windows, and luxury bathrooms, with a different take on the modern luxury apartment. Come see for yourself and take a tour! At Galleries at Park Lane, you can live the way you've always dreamed of without compromising style or quality. Designed with you in mind, our beautiful spaces make coming home the best part of your day. Contact one of our leasing consultants today and we'll help you find the perfect floorplan for your lifestyle. 1 Bed | 1.5 Bath | 1059 sq. ft.
1 Bed | 1 Bath | 1091 sq. ft.
1 Bed | 1 Bath | 1111 sq. ft.
1 Bed | 1 Bath | 1159 sq. ft.
2 Bed | 2 Bath | 1425 sq. ft.